Take advantage of the open, tinker-friendly Android platform and make your device work the way you want it to. Quickly create Android tasks, scripts, and programs entirely on your Android device--no PC required. 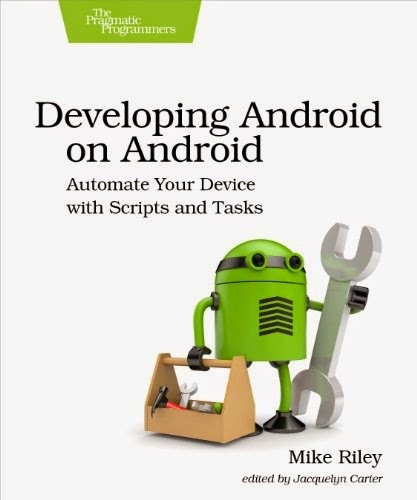 Learn how to build your own innovative Android programs and workflows with tools you can run on Android itself, and tailor the Android default user interface to match your mobile lifestyle needs. Apply your favorite scripting language to rapidly develop programs that speak the time and battery level, alert you to important events or locations, read your new email to you, and much more. Write scripts that listen to your voice and post spoken tweets on Twitter. Track your phone's status and have it report its location every ten minutes via an instant message. Query and listen to weather forecasts with the click of a headset button. Have system notifications and new SMS messages automatically read to you. Design your own application launcher with a look and behavior that can be dynamically modified depending on the scripts and applications you execute. With step-by-step instructions throughout, you'll master how to develop your own custom applications. And because you'll be using programming tools on your Android, you can change and improve your programs at any time. You'll build new Android programs and task-driven on-board workflows faster than any traditional Android development environment could hope to match!